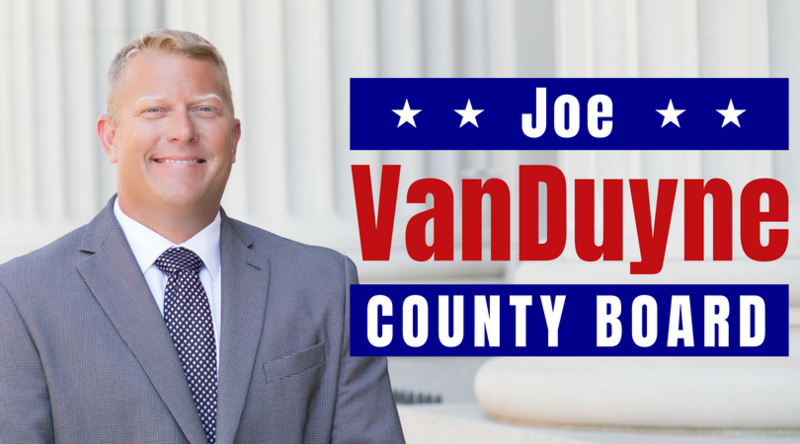 My name is Joe VanDuyne and I'm running for Will County Board. As a former Alderman in Wilmington, I know what it takes to get it done in local government. I have a fiscally responsible voting record and I'm ready to serve my community again, this time on the Will County Board. I'm a union electrician, a husband, and a father, proudly raising my family in southwestern Will County. I'm committed to family and community and will be a voice for the hard working men and women of District 6. Our community is a special place because of the people who live here. Government service is about serving people. I will ensure openness and transparency, restore trust in government, and re-focus on serving the people of Will County.